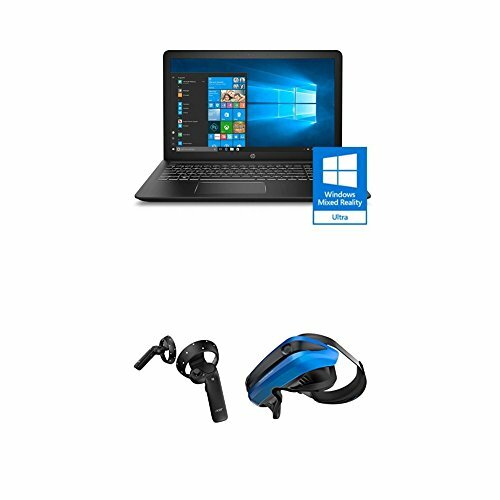 HP Pavilion Power Gaming Laptop - 15'' Full HD, i7-7700HQ , 8GB RAM, 128GB SSD + 1TB HDD, GTX 1050 & Acer Windows Mixed Reality Headset and 2 Wireless Controllers Bundle by at Pacs BG. Hurry! Limited time offer. Offer valid only while supplies last. Laptop: Processor: 7th Generation Intel(R) Core(TM) i7-7700HQ Processor, Quad-Core, 2.8GHz up to 3.8GHz; Powerful performance keeps up with your multitasking demands and enables new ways to interact with your PC. Laptop: Video graphics: NVIDIA GeForce GTX 1050 (2 GB GDDR5 dedicated); Turn your laptop into a creative powerhouse for visually demanding apps. NVIDIA Pascal and Game Ready technologies drive the latest games in their full glory.